From there, the course will move into general education about essential nursing practices and general medical workplace safety such as infection control, accident prevention, the proper procedure when you observe or discover a resident has fallen, and preventing back injury while working with patients. 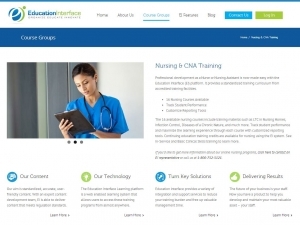 Develop your nursing skills with Education Interface’s online nursing programs. This web-based learning platform can take you or your staff to the next level. Click here to contact a representative or call us at 1-800-752-5121. 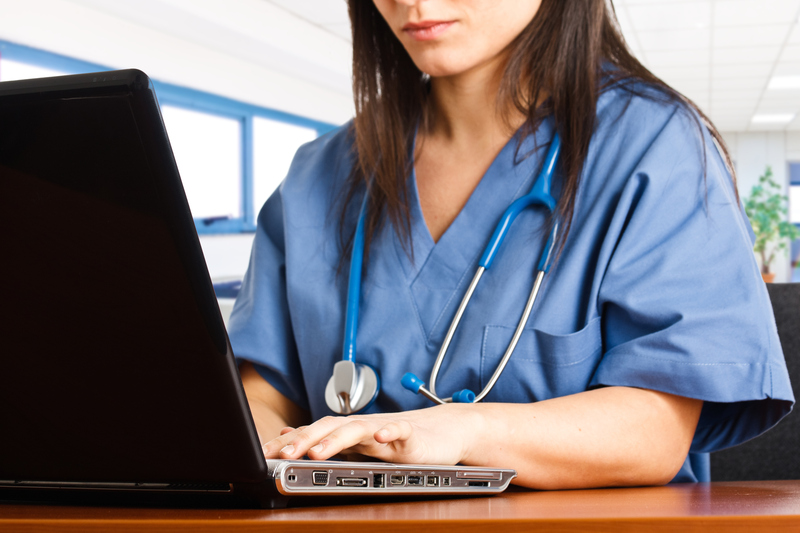 The online nursing programs will then shift to important information about working with older patients. Both the physiological changes that are common in aging and the psychological changes will be discussed in detail to prepare students for working with patients suffering from these issues and to assist them in managing their physical and mental health. Chronic medical diseases and dementia in particular are discussed in detail by the course, and the requirements of long-term care in a nursing environment. Finally, the course will discuss the larger issues surrounding nursing in an elder care environment. Students will learn how to support the spiritual needs of patients, assist the family members of patients as they work to understand the health issues of loved ones as they age, how to maintain a quality of life for the patients they serve, and how to properly handle the difficulties surrounding end-of-life situations for both patients and their families. Our online nursing programs are constructed to fit into and broaden the horizons of even the most experienced and busy health care professional. Our course will help you not just be the best informed, but also become a better nurse for your patients. Ensure your staff is compliant with nursing practices as well as ready to take on the challenges of day-to-day tasks. Click here to contact a representative about online nursing programs or call us at 1-800-752-5121.